Toilets are a modern convenience when they are working properly but are a modern annoyance when they are not. A flush valve is a relatively simple mechanism, but when it begins to malfunction, it is tricky to repair, particularly since many homeowners never look down the back of their toilet until something goes wrong and don't really know how the toilet works. 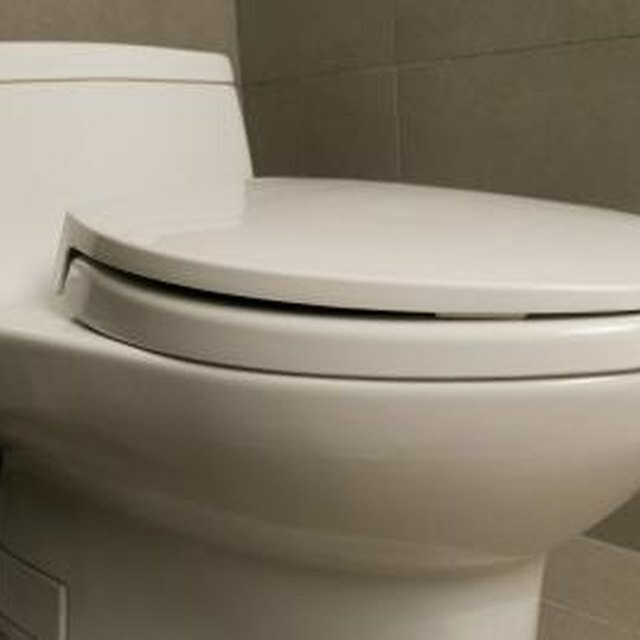 If the flush valve only closes partway, your toilet will probably continue running and wasting water. Check that nothing is blocking the flush valve and keeping it open and that the lid on the tank of the toilet isn't obstructing the motion of the flush valve. A damaged gasket or a crack or hole in the tank under the flush valve will lead to the same symptoms as a flush valve that won't close: you will hear water running in the toilet when you shouldn't. Inspect the flush valve and the area all around it, looking for damage or anything unusual, which might include cracks in or discoloration of the porcelain, jamming or clogging by foreign objects or bent or broken mechanisms. Tank balls were replaced with flappers quite a few years ago, but, if you have an old toilet, it may still have a tank ball, which is a plastic or metal sphere attached to a rod. The tank ball floats on top of the water in the toilet tank and lifts a lever that closes the flush valve when the tank is full. If the rod to which the tank ball is attached is bent so that the tank ball is too low, the water will stop before the tank has filled. If the tank ball is too high, the water will keep running into the overflow pipe because the mechanism hasn't told it to stop. If you have a newer toilet, your toilet has a flapper valve rather than a tank ball. If you are having trouble with your flush valve, the blame most likely lies with the flapper. If the flapper valve becomes waterlogged, it may fail to seal the outflow pipe and the water will keep running out of the pipe, preventing it from shutting off. Replacing the waterlogged flapper with a new one will solve this problem. Why Are Water Heaters Glass Lined?